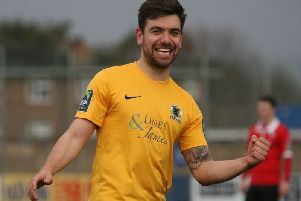 Burgess Hill Town's floodlights at the Green Elephants Stadium have been given the all clear following the failure which caused the abandonment of their Sussex Senior Cup quarter-final with Eastbourne Borough. Simon Wormull's team were 2-0 down when the floodlighst went off. General manager John Rattle said: "UK power came in to the club and the issue was a problem of theirs which the club had no way of resolving on the evening. "It was a sealed box only they could get into. It's all fixed and there are no issues for Saturday’s game." A rearranged date is yet to be scheduled.